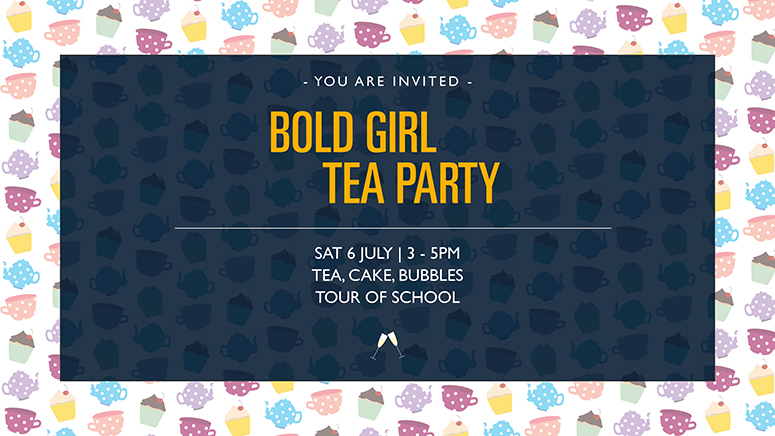 We are delighted to invite you to our Bold Girl Tea Party on 6th July, 3 – 5pm. Please use the form below to book your place. If you’ve already completed this form (and are therefore on our Bold Girl database) feel free to email claire.driscoll@burgesshillgirls.com direct or call her on 01444 241050 instead.